The APA in text reference is in the format (author, date). When directly quoting from a text you must include a page number in the citation as given in the examples below. Including page numbers in all other circumstances is not required however, it is best practice to do so when referring to part of a work (e.g. a paragraph or chapter in a book). When referring to an entire work that covers a single topic (e.g. a journal article) it is not required. Anxiety and depression have been identified as more commonly in children and adolescents with long-term physical conditions (Dantzer, 2003; Pinquart & Shen, 2011). Dantzer (2003), Pinquart and Shen (2011) all state that anxiety and depression has been identified as more commonly in children and adolescents with long-term physical conditions. Indeed, one researcher commented that “technological innovations have saved or extended the lives of many patients” (Lumby, 2001, p. 44). Your reference list should be ordered alphabetically by author and then chronologically by year of publication. The APA 6th style requires the references to be indented as illustrated below in the examples. For instances of multiple articles with the same authors and years of publication, please see the complete guide. If you have the DOI for the journal article, you should include it in the reference, otherwise, it is not necessary. De Vaus, D. A. (2014). Surveys in social research. Sydney, Australia: Allen & Unwin. McKenzie, H., Boughton, M., Hayes, L., & Forsyth, S. (2008). Explaining the complexities and value of nursing practice and knowledge. In I. Morley & M. Crouch (Eds. ), Knowledge as value: Illumination through critical prisms (pp. 209-224). Amsterdam, Netherlands: Rodopi. Australian Institute of Health and Welfare. (2018). Physical activity across the life stages. Canberra, Australia: Author. Magner, L. (2016). IBISWorld Industry Report OD5381. Coffee Shops in Australia. Retrieved from IBISWorld database. 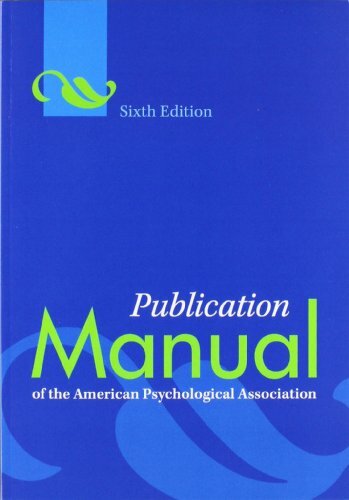 Academic Writer is APA's tool fully integrated with Publication manual of the American Psychological Association (6th ed.). Learn - see quick guides and video tutorials which help you master academic writing in APA Style. Learn -- Sample References - find examples of references such as, books, book chapters, journal articles, technical or research reports, conference proceedings, audiovisual materials, web resources, etc. Academic Writer is optimised for Chrome, Firefox and Safari. Internet Explorer is not recommended. How to cite secondary source? How to cite references in text such as one work by 3 authors or more? How to reference different authors with the same surname? How to reference multiple authors and group authors (e.g. NHMRC)? The APA Style Blog is the official companion to the Publication Manual of the American Psychological Association, Sixth Edition. It explores what APA Style is and how it works in a variety of areas, including reference citations of every sort, grammar and usage, the publication process, and social media. This web page helps to clarify frequent areas of confusion. 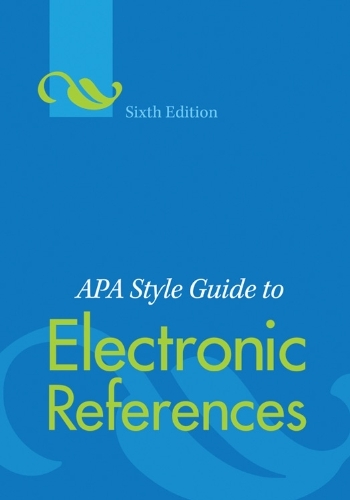 This guide provides an overview of the APA 6th referencing style. For up-to-date information on referencing websites, please refer to this page on the APA Style Blog.